Northern Traditional Rulers Warn Politicians Against Rigging during 2019 elections – Royal Times of Nigeria. Traditional rulers of the 19 northern states have called on politicians to shun acts capable of causing tension in the country. 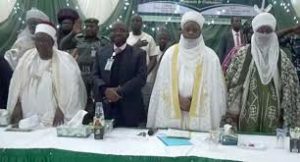 The royal fathers made the call on Wednesday at the Fifth General Assembly of the Northern Traditional Rulers Council in Kaduna State. The meeting was also attended by the Chairman of Independent National Electoral Commission (INEC), Professor Yakubu Mahmood. In his remarks, the Chairman of the Council and Sultan of Sokoto, Saad Abubakar, identified some areas which he noted if not properly addressed by the Federal Government could hamper the peaceful conduct of the polls. On the Electoral Act Amendment Bill which President Muhammadu Buhari withheld its assent, the council chairman asked the next step INEC would take should the lawmakers override the President to pass the bill into law, as being purported in some quarters. 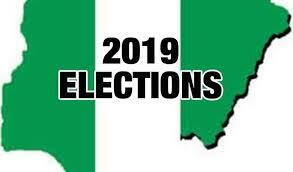 On his part, the Emir of Kano, Muhammad Sanusi II, called for the prosecution of election offenders by a special tribunal which he said would reduce incidents of rigging by politicians. Professor Mahmood, in his response, informed the traditional rulers that INEC is fully committed to conduct a credible and fair elections in 2019. The INEC boss, however, blamed politicians who overheat the polity or blackmail the commission whenever the outcome of an election was not in their favour.